Peer Tutoring Club – Reading Room – Fri, June 1 – 4:00 p.m. – 6:00 p.m. In the Peer Tutoring Club, youth get help with their home work assignments or any other academic assistance from their volunteer peers tutors and the youth worker. 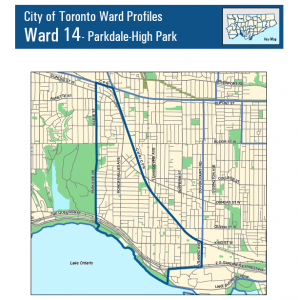 In partnership with the Parkdale Community Information Centre. Friday Movie Night at Parkdale – Auditorium – Fri, June 1st – 6:00 p.m. – 8:00 p.m.
Parkdale Library will be holding Movie Nights! Sit back, relax and enjoy a movie on the big screen. The Purple Pirate – Auditorium – Sat Jun 02 – 10:30 a.m. – 11:30 a.m.
Join us for a special story time featuring a puppet show by Applefun Puppetry called The Purple Pirate. Kids will get to meet the puppets after the show and make a paper puppet of their own to take home. Saturday Writers – Community Room – Sat Jun 02 – 9:30 a.m. – 11:00 a.m.
Read from and discuss works in progress. Prose, poetry, essays welcome. 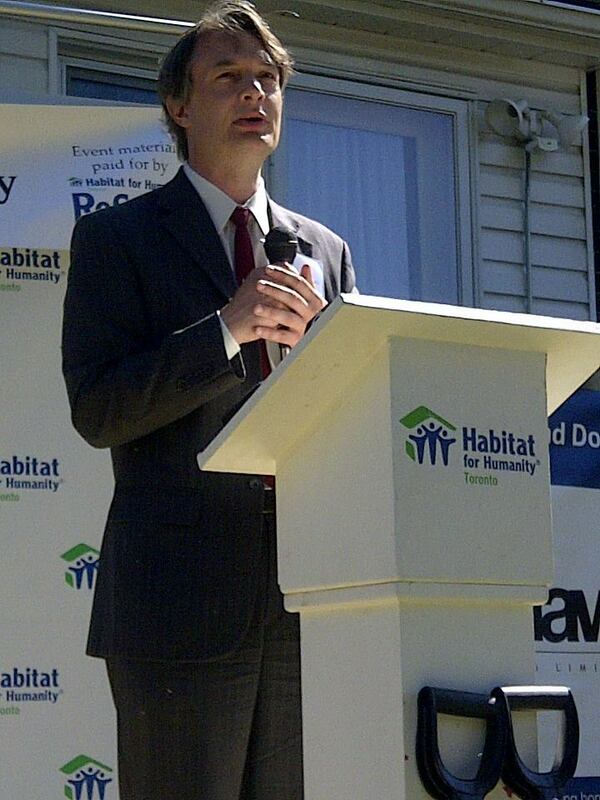 Thank you to everyone who came out to the Habitat For Humanity Toronto Groundbreaking Ceremony for the 96 Ritchie Ave build. And a big welcome to the Sinato family, we are looking forward to having you as a member of our great Ward 14 community! If you would like to learn more about our newest neighbours please see: Sinato Family. Anytime now the Ritchie site should be posted, “on the Online Scheudling System at www.torontohabitat.ca/scheduler and volunteers will be able to sign up for shifts. Build shifts are limited and are available on a first come first serve basis. If neighbours are interested in volunteering, please tell them to check back frequently to ensure they are able to secure a spot – they go fast! Volunteers are at core of everything we do – it would be impossible for us to succeed without the support of people like you! Our build sites are open from Monday to Saturday and shifts run from 8:00AM – 4:00PM. We request that all volunteers complete a full day shift. There are no qualifications required to volunteer with us other than having an open mind and an enthusiastic attitude! We provide all the tools and equipment necessary on-site (do not bring personal tools) and also provide hard hats and steel-toed boots. You are welcome to bring your own hard hat and boots, but please ensure that any steel-toed boots are CSA-certified (look for the green triangle). *If you have a combination of construction experience, team leadership skills and regular availability, please contact Pat Laforet, Director of Build Site Experience at: PLaforet@torontohabitat.ca with a detailed explanation. Further, “In lieu of the ramp at the end of Herman Avenue we are prepared to construct an at grade walkway at the end of Ritchie Avenue. We currently own all the land at the end of Ritchie Avenue (dead end street). At our public information meetings there was considerable discussion by the community to create an at grade walkway at the end of Ritchie Avenue to replace the existing pedestrian walkway that currently exists on the lands provided to Habitat for Humanity. It was our decision to pursue the Herman Avenue ramp. This option has now been discarded and we will proceed with the at grade option as noted at the end of Ritchie Avenue. 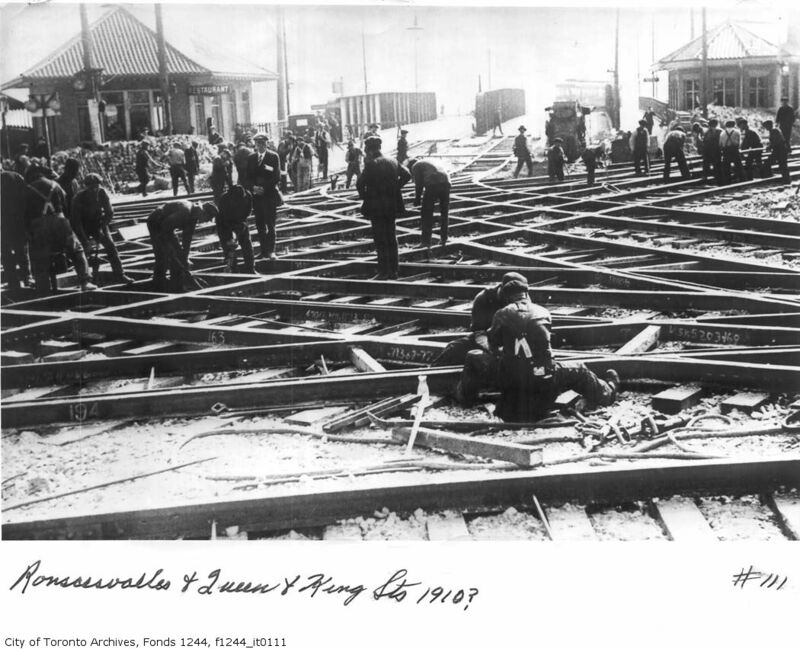 We will be in discussion with Loblaws and Habitat to try and ensure that the pedestrian walkway is finished prior to construction on the 96 Ritchie Ave build site. 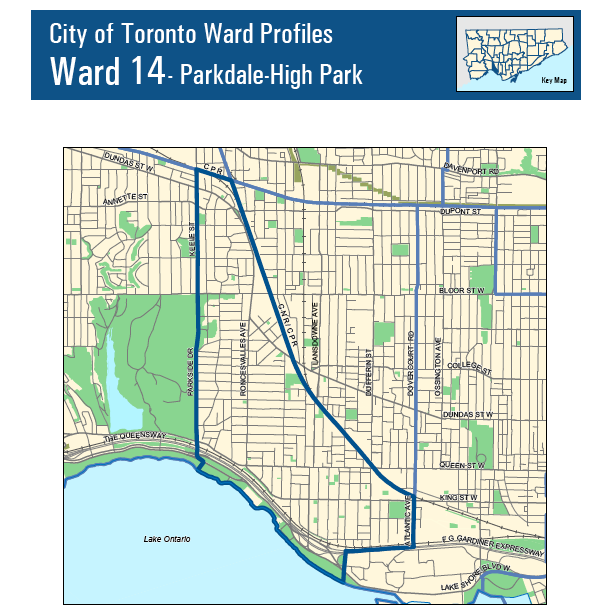 If you have further questions or concerns please email my office at councillor_perks@toronto.ca. If you have specific thoughts you would like to share with Loblaws please contact Mario.Fatica@loblaw.ca. A non profit group “Friends of High Park Zoo” was formed in April to bring awareness to the community and raise funds to convince City Council that the Zoo should not be shut down. In April the Honey Foundation offered a matching donation up to $50,000.00 for monies raised by June 15th., currently at $43,000.00. One of these activities is a GIANT GARAGE SALE on Saturday and Sunday June 2nd.and 3rd. Should you wish to participate you can bring items to 148 Pacific to be sold or you can do your own Garage Sale and donate the profits to the cause. Donate on line to: https://torontoparksandtrees.org/high-park-zoo and get a tax receipt for donations of over $10.00. 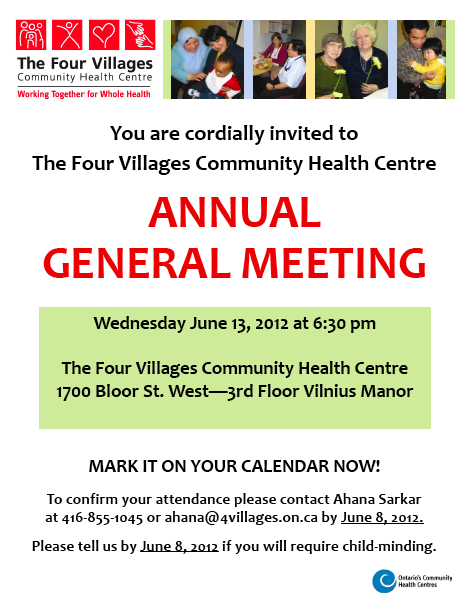 The Four Villages Community Health Centre’s will be holding their Annual General Meeting on Wednesday, June 13, 2012 at 1700 Bloor Street West, 3rd Floor, Vilnius Manor. 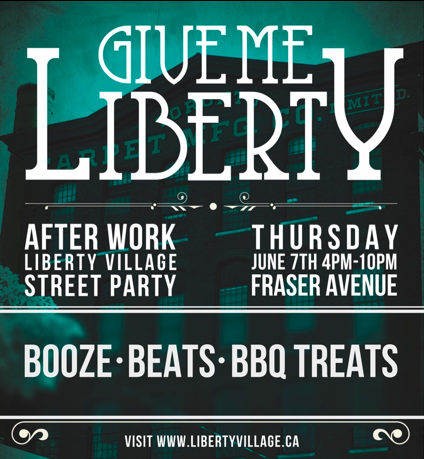 The 9th annual Liberty Village Afterwork Party is Thursday June 7, 4pm to 10pm on Fraser Ave. north of Liberty St. 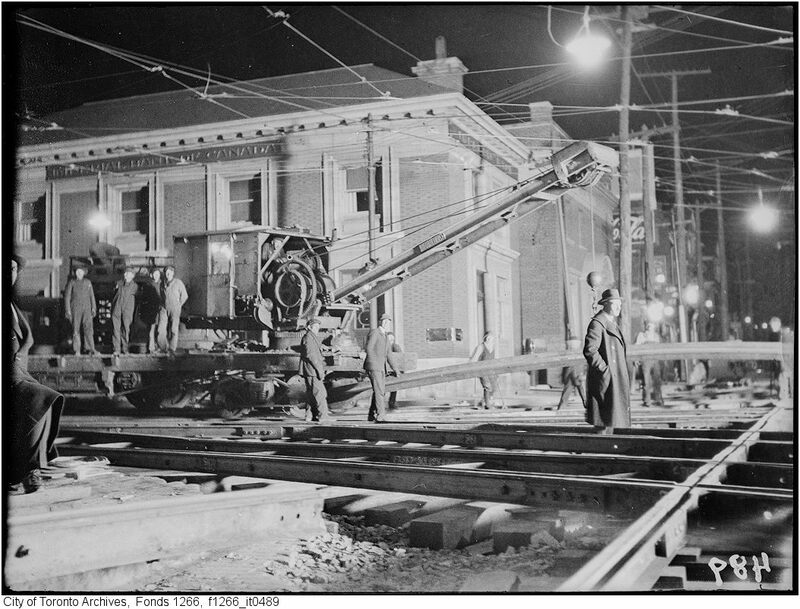 Interested in the history or the Roncesvalles neighbourhood? The next RVHS meeting is at 6:30 pm on June 7 at the High Park library branch. Fast approaching, Roncy Rocks! 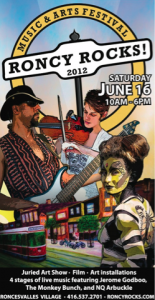 is the annual day-long celebration of art, music and culture in Roncesvalles Village. 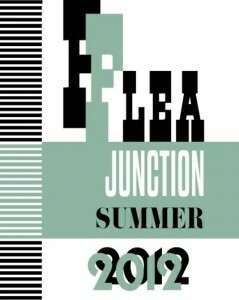 On Saturday June 16 2012, between 10 a.m. – 6 p.m. There is still time and room for submissions to the Roncy Rocks! 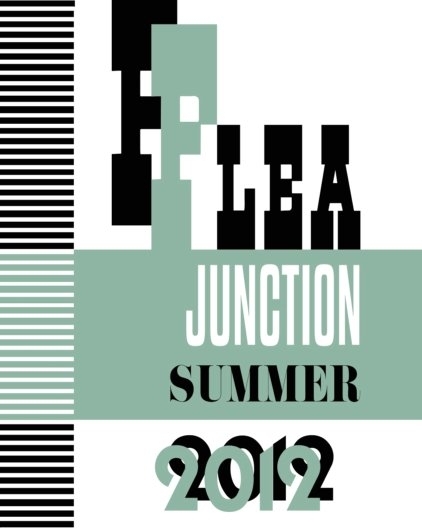 juried art show and sale. Local visual artists, sculptors, painters, and photographers are invited to make a submission to participate. Artist registration for Roncy Rocks! ranges from $35 to $55 for a 10 by 10 foot booth, depending on location (there are number of “art zones” on the street). We are gearing up for this year’s Bazaar Season and we would like to take the opportunity to offer you a table at our “Summer Kick Off”Bazaar on Saturday, June 23rd. Registration cost for our bazaars is $27 (tax included). Fee includes 72″ x 30″ (6 feet x 2.5) table and chair. The Parkdale Bazaars will see approximately 400-500 people between 11 am to 6 pm. This is a great way to promote your product/service and interact with the community. We have attached an application for you to fill out. We sincerely hope you consider joining us for a great day celebrating art, community and culture. In order for us to reserve spaces we need to hear back from you by June 10th.